Angus Finney is a leading international creative industry specialist who has managed, taught, mentored and lectured across the world. His work includes MBA-level teaching at The Judge Business School, Cambridge University, where he is a Fellow, and MA-level Course Directing at London Film School/Exeter University. He was appointed in 2016 to the Beijing Film Academy as a Visiting Professor, and holds an Associate Professorship at Exeter University in Film and Creative Industries, where he holds a Silver Award for outstanding teaching. Finney’s business planning and modelling has contributed to raising more than $150m for independent creative companies since 1995. Over the past decade he has trained and mentored creative talent in the UK, Ireland, South Africa, Canada and most recently New Zealand. He has also acted as a business advisor and strategy mentor to a range of companies across the creative industries. Current clients include China’s largest Intellectual Property agency, Cloudwood; production outfit Life & Soul Pictures, Film London and the KZN Film Commission in South Africa. He currently works closely with the leading talent agents around the world on behalf of Cloudwood. Finney has considerable practitioner experience. He was appointed joint Managing Director of Renaissance Films, a UK-based development, production, finance and sales company in July 1999. 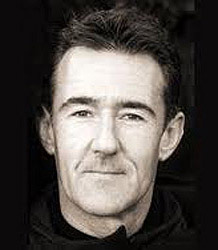 During six years of business, Finney Executive Produced and sold a range of films, working with filmmakers such as Terry Gilliam, Daniel Craig, Neil LaBute, Marleen Gorris, Roger Michell, Glen Close, and Rose Troche, alongside leading US studios including Sony, Miramax, Warner Bros and Paramount. Finney’s fourth and most recent book is: The International Film Business – A Market Guide Beyond Hollywood (Routledge) was published in May 2010. A second edition has been published in 2015, and has been released in China and Japan. His 1996 publication The State of European Cinema has been re-printed by Bloomsbury in 2016. He has worked on a number of screenplays as co-writer, including The Geisha Girl (with Berlin Silver Bear winner Soren Kragh Jacobsen).